Since this screen (accessed from the ''Login'' option of the main menu) is not only where a user will normally be taken when they are finished with registration, but it is also the first thing they will see in any 'members only' forum. 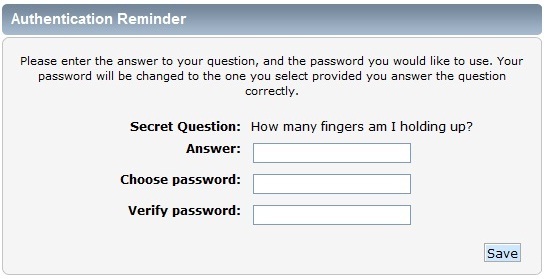 While the ''Username'' and ''Password'' fields should be self-explanatory, ''Minutes to stay logged in'' simply means the number of minutes the login cookie will last before expiring and requiring them to log in again. 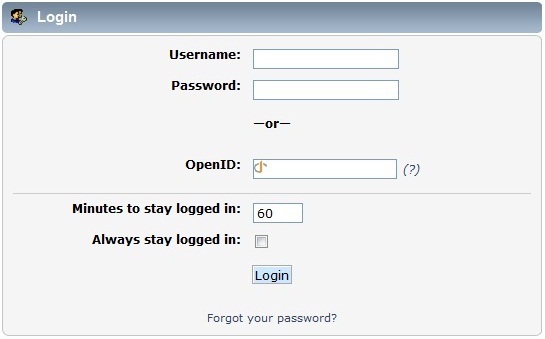 It is not recommended to enter a long time here if the computer is shared, but they might prefer to select ''Always stay logged in'' if no-one else has access to the computer.